The FP Youth Outcry mission is to increase opportunities for success by providing programs, services and events to under-served youth and their families through healing experiences that entertain, education and empower. 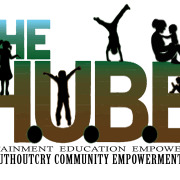 The FP YouthOutCry Foundation/ The HUBB is known for our services for our youth. We are interested in helping our youth and families become better people and community oriented through services that educate , empowers and entertains. We are mentors, social workers, business owners and lovers of our community. I can post here the many articles of our success stories and the awards. I would rather you attach yourself to our mission like many others have and help families/youth in need create their success stories. Would you recommend FP YouthOutCry Foundation?